2. 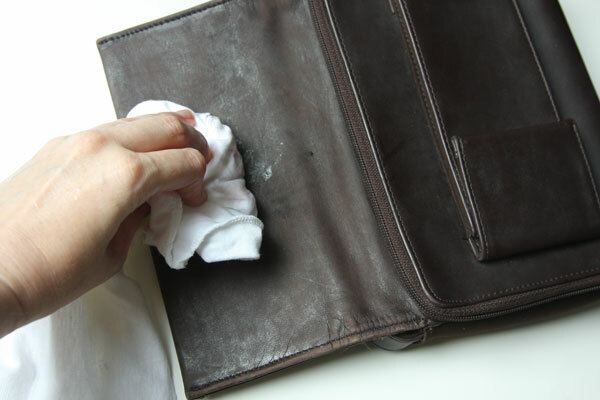 Wipe with a clean, damp cloth to remove residue. 3. Wipe the area with a cloth saturated with rubbing alcohol to remove any surface finishes or protective coatings the leather might have. 4. Mask off the parts of the bag you will be painting with tape. 5. Now the bag should be ready to receive paint. 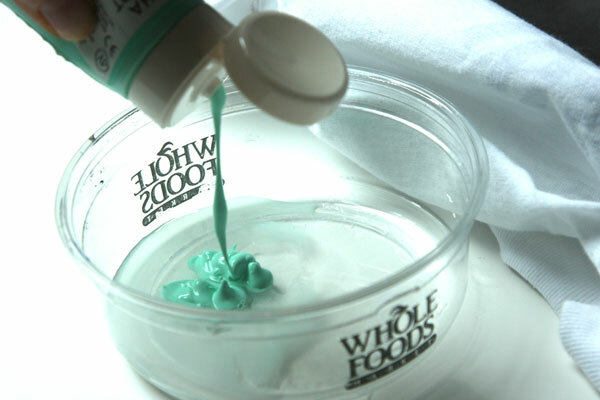 Mix the paint with water in a 1:1 ratio in your bowl, and paint on the mixture using long strokes. It will look streaky at first, but this is necessary to allow the leather to soak up the paint. 6. Add 2-3 more coats, allowing the paint to dry partially between coats. Do not allow the paint to dry fully; the leather needs to remain damp between coats. After each coat, flex the leather so the paint won’t crack. 7. Now it’s time to use undiluted paint. Spread on using long coats again, flexing after each coat. Allow to dry between coats – you may need a couple. 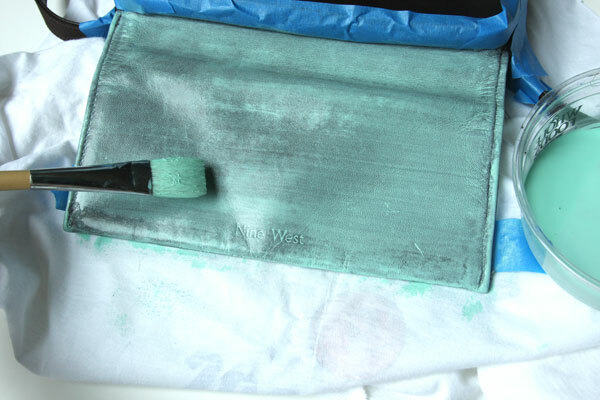 It took 3 for my seafoam color to become truly opaque on my dark brown bag. 8. Remove masking tape once completely dry. You’re done! No protective coating is necessary, though if you’re worried about water-fastness, a layer of matte Mod Podge might be a good choice. 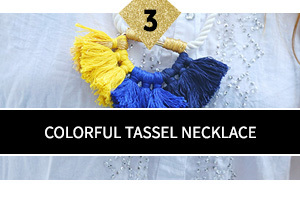 Wear with neutrals or mix it up with crazy colors for a Fall look! 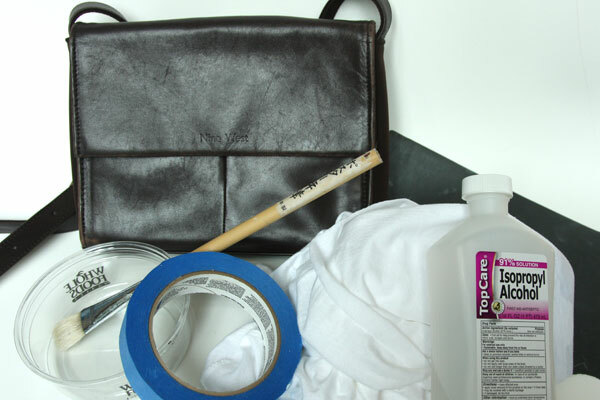 **Whether acrylic paint will work on vinyl or manmade leather surfaces is fairly dependent on the surface; it’s mostly trial and error for faux. I had no idea you could paint leather. 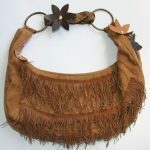 I see a lot of thrift store purses getting a face lift. Yes, it’s so easy! As long as the leather item isn’t something that’s particularly soft or that crinkles a lot (otherwise the paint will crack and it’s probably much better to use Angelus), then acrylic paint will work!! So cool! 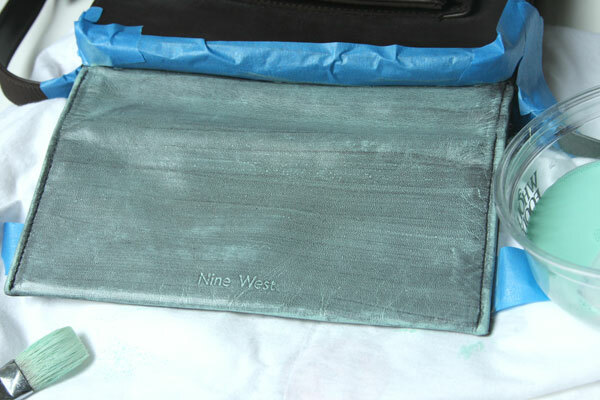 Can’t tell in the pic but does the Nine West logo stand out more under the paint? I really want to try this but will prob have to buy a new bag to do so. Great job! No, the logo isn’t too bad. I smushed extra paint into it so it kind of “filled up” the divots. But it’s still visible, even under the paint. Still very fancy! I’m going to try this with one of my bags. I have an all-black ALDO bag and I want to try and paint it all burgundy. Will let you know how it turns out! Thanks for the tutorial, really handy to know how to do it properly for future projects. I love that it can be done with ordinary supplies. that’s so crazy!! a great tutorial and I love the color you choose. how fun! 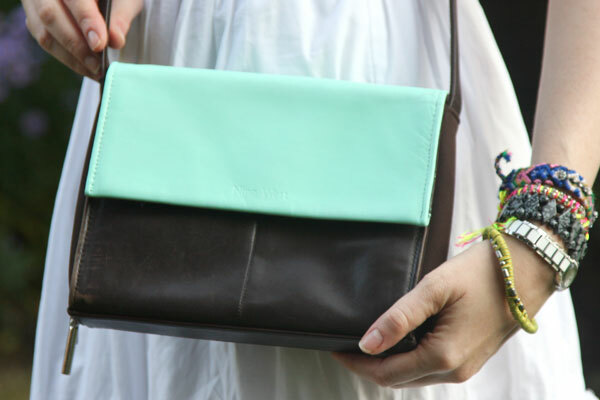 I am loving this painted clutch/bag trend… such a fantastic way to reinvent an old/out of style/boring bag and turn it into something special! Wow, what a great idea! And the instructions for prepping leather for acrylic paint seem like they’re really useful for all kinds of projects. Thanks so much for sharing, Carly! great bag, I love the shade of green you used! 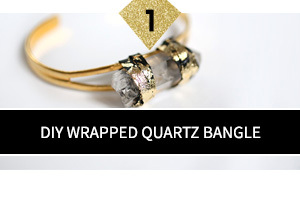 Great DIY!! I’ll definitely be doing this FOR SURE. I’ve used fabric paint & silkscreening paint on leather before & it doesn’t crack – because it’s developed to move with fabric. It’s fantastic. You should give it at try! Hi Tara- even if you can’t find Angelus brand paints locally (I can’t either), you can just order online from a company that ships to Canada. Dharma Trading is one such company (http://www.dharmatrading.com/html/eng/10144517-AA.shtml). If you are looking for fabric paint, I really like Tulip Soft Fabric Paint (http://www.ilovetocreate.com/Tulip-Soft-Fabric-Paint-222) and Simply Screen’s screen printing paint (http://shop.plaidonline.com/simply-screen-paints/115/product.htm?keyword=simply%20screen). If you want a more pro silkscreen paint, Speedball makes great starter sets (http://www.amazon.com/Speedball-Fabric-Screenprinting-Ink-Starter/dp/B001E0JFOM), and I’m pretty sure Amazon.com ships to Canada. However I don’t know how either would adhere to deer hide – my personal choice would be to use a leather paint since fabric paints and silkscreening paints are usually made to adhere to fibers. turtle feathers has Angelus paints on their site. Good prices too. Thank, Chris! I appreciate the info!! I think I have just the right purse for this! Love the pastel mint you used here. I would like to know your opinion… Can I do the same with my agenda? I found this perfect agenda Day-timer, (this one: http://www.google.ca/imgres?q=day-timer+leather&um=1&hl=en&sa=N&biw=800&bih=407&tbm=isch&tbnid=QdlucuwhcZ6zFM:&imgrefurl=http://cgi.ebay.ca/Italian-Leather-Binder-w-Buckle-1-Rings-Day-Timer-/320700779823&docid=KLL2T20-tBoG2M&w=500&h=536&ei=oOSDTrCFCIu5twfTy-HaAQ&zoom=1&iact=rc&dur=579&page=6&tbnh=83&tbnw=78&start=58&ndsp=12&ved=1t:429,r:5,s:58&tx=40&ty=45 ) but it is black, I want it in blue (like this one: http://filofaxfixation.wordpress.com/2011/08/21/filo-faux-fax-a5-trial/ ). Can I paint it with acrylic paint? Thank you! I suppose you can try, but it would definitely be a case of trial-and-error to get it right. I’m not sure if you plan on painting the inside as well, but what I would be concerned about is where the inside rings, paper, and outer flap touch. 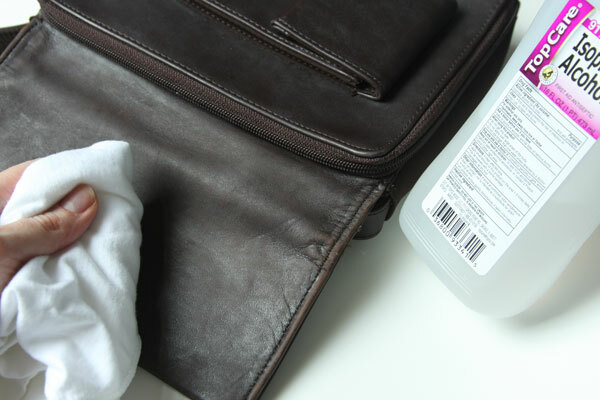 Acrylic paint will likely show signs of wear as you use the planner…and you probably want to be able to put it inside a bag or something to take with you places, correct? Either that or hold it in your hand…and both ways I would think would wear away at the paint. For something that has to withstand rubbing and is exposed to sweat/pressure routinely, I would think using Angelus Leather Paint would be a much, much safer investment. Or leather dye (done by a professional), since in a planner/agenda there’s usually backing or internal inserts that exist to stiffen the piece, and they may not be completely water-fast. Better yet, find an agenda in the color you like rather than painting one…and if you really, really want to paint one, try painting a design on the front (skipping the flap closure area) rather than a large swath of opaque color. Good luck! great bag, I love the shade of green you used! Or leather dye (done by a professional), since in a planner/agenda there’s usually backing or internal inserts that exist to stiffen the piece, and they may not be completely water-fast. I really want to try this but will prob have to buy a new bag to do so. Now that is actually cute. Especially now that those boxy shoulder bags are coming back in style. i just did this on an old pair of shoes and they came out fantastic! thanks so much! My girlfriend just read your article and went and painted her old shoes and they came up great haha. I didnt think the end result would look any good, but i must say. They look as if she just got them from the shop. I’m back to this post of yours. I am painting a leather belt. The belt will be flexed a lot of course. 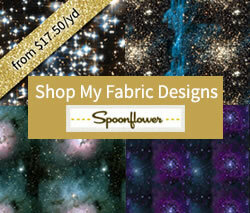 I am thinking adding textile medium to my acrylic paint to make it more flexible. Any thoughts? Did you purse held up well? It should have been since the area you painted is flat and seems like won’t be flexed too much. what a great tip about Angelus!! thanks! This is such a great idea! I have a white leather purse that I want to paint this on. Do you think I still need to use the alcohol? I think so; the alcohol is not only to clean the surface but something that strips away any finishing chemicals that have been applied to the leather that won’t let the paint adhere. You could always try it not using the alcohol in an inconspicuous place and see how the paint sticks! Thank you! 🙂 That makes sense.. I’m going to use this to make a tribal pattern for my art project! 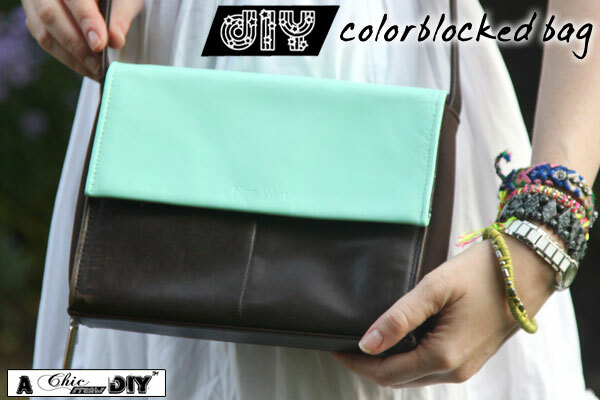 I loved this idea so much I went out the next day and bought some acrylic paint for this leather clutch I had. I realized though that once the paint dries, it feels very rough and super dry. I did some research online and realized I could soften it up a bit by rubbing a cloth saturated with Windex over it a several times. Now it’s a really nice smooth, softer surface and I’m really happy with it. Just thought this tip might be helpful for others with the same problem. Thank you for this article. I am hunting for ideas on changing the color of cowboy boots…some folks use spray paint and some folks use brushes. I need to cover black boots with white paint, so my biggest concern is cracking. These are only to wear at a horse show…they do not have to last forever, but still a concern. Thanks a ton for the article and the pictures, both very helpful! cute idea!! does the color wear off after some time? Do you need to put any varnish on it to protect it from rain pr accidental spills? Will the paint rub off if wet? Hi Susan-I personally did not put any sealant on top of the paint. I guess it depends how wet you get it, and how much you rub it. Too much abrasion and moisture will likely remove all your hard work. 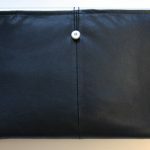 People who work with leather usually use Bag Kote (http://www.amazon.com/Fiebing%C3%A2-x20AC-TMs-Kote–Neutral/dp/B008ROQ34I/ref=sr_1_2?ie=UTF8&qid=1398170960&sr=8-2&keywords=bag+kote) to seal paint and give it a soft finish, rather than a hard plastic-y sheen. One forum says to mix Bag Kote with water 60/40, and apply. There’s ammonia in it, but if you’re looking for a top-quality sealant, that is it. 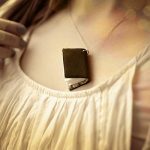 You could also use a coating of beeswax for an eco-friendly option. Hope that helps! 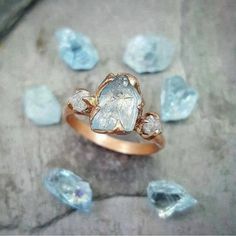 Just found this tutorial via Pinterest and I’m going to try a version of my own! Just wondering how the bag and paint have held up after a few years. Still in good shape or has it needed touch ups? Thanks! Question: I purchased a chaises lounge that’s just beautiful. Only that it came in a color that not opprable to my living room color scheme. I have a chocolate brown in color. It’s just that my other color I choose to accommodate, go with and matches well with it is my favorite color of purple. Well a lilac, or a lavender paired well. So my intention are to paint the chaise front cushion portion thatthat’s to sit on, I would like to paint in the lilac or lavender color. And the side and bottom have in chocolate brown color. Now, my question to you is how would that look, and is it at ALL pliable! The vision in my head assure that it would come out lovely and be quite different. Where when people step in a see it, their fist impression would “wow”that lovely; inquiring where is it that I brought that from. Hi Mayme, what an interesting question!! First you ask about doing colorblocking on a piece of furniture – I think that would look fantastic! As long as you have elements of colorblocking/modernist styling in the room somewhere else too…otherwise the lounge might look really out of place if it’s a vintage decor room or something similar. The panel that you painted green looks like it was professionally done. I have a suede leather jacket that has lost some of its natural dark brown color. Would I be able to darken up my jacket in a similar way? Thank you, Bryan! Honestly I’d recommend dyeing for a suede jacket – acrylic painting is kind of a last resort, and seems to work for colorblocking and going to a lighter, opaque color. Since suede is soft I would be concerned about the paint cracking with movement. If you’re going darker I would think dyeing is a better long-term solution. Hope that helps!! Joyce recently posted…Shopswell = The Best Answer to Dynamic Shoppable Lists Ever! Leather bags are tough and good for everyday use. 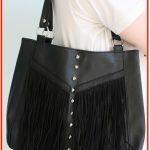 Fashion accessories from leathers too are cool also. And adding some color on them would be nice too. Lovely creation. Won’t it crack with the weather? Thanks so much! I wouldn’t recommend leaving this out in the sun or using in dry weather – it probably would crack and fade. I really thank you for keeping this blog till now and i just recently found out your blog post. It was so difficult to find any leather paints in Singapore as the Angelus brand is not allowed to ship to Singapore. 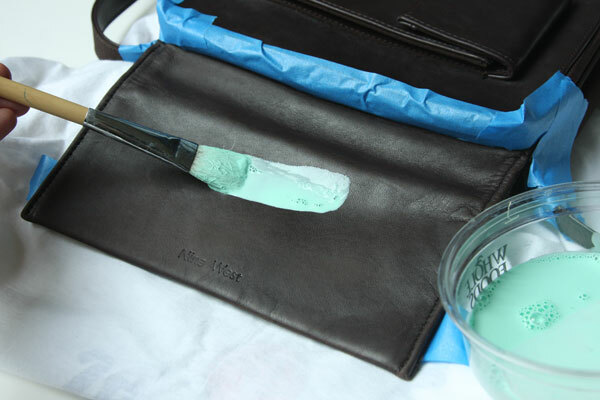 Did not know that acrylic paints that could be used on leather products. Thank you for the great tutorial ! Yes i wanted to know if ANY permanent acrylic paint is good on gym shoes and timbs or leather shoes. Other than angelus paint. And spray proof spray on it found in a local shoe store like finishline or footlocker. Thanks in advance ! I have a Gucci metallic gold Boston bag that the handles have peeled really bad and cant wear it. This bag is no longer available to be fixed so I was wondering if the fabric paint will work on these handles. 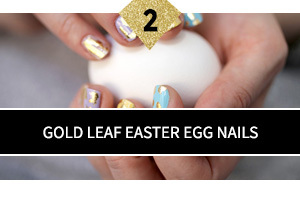 Or would u recommend a metallic tape. I’ve noticed a lot of bags get peeling handles after long years of use, since the handles get the most wear and tear. I would absolutely not recommend painting the handles with paint since it will flake off just as the original leather did. It might look nice for a short time but soon the same thing will happen. I also wouldn’t recommend a tape since the tape will peel up eventually too. Can you get the handles replaced at a leather repair shop? Many shops will do this…but it could cost a bit of money. Or you could contact Gucci customer service for a recommendation of what to do – some luxury goods companies offer a service where you send your damaged piece in and they fix it. 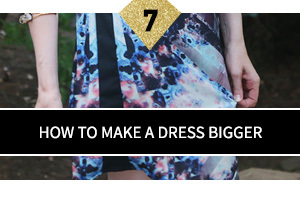 I’m really sorry but I can’t give you any better options that would be longer wear. You could potentially wrap some fabric around it as a handle guard to cover up the worn area. Hope that helps! Hi. I bought a vintage Whiting and Davis metal handbag – which is perfect size! However the silver leather thin strap no longer has any silver on it. It might have been wearing off and the owner or store chose to remove it all. I would like it to be silver (matching bag) again. Can I paint! Will it come off on my clothes? Any other suggestion? Hi Wileen, thanks for your question. 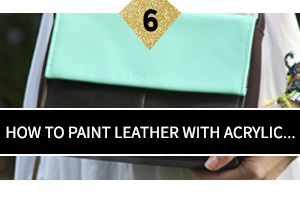 No, do not paint it with acrylic paint – if it’s the strap you need to use to hold on to the bag, the paint will peel off with wear and handling. I don’t know what the strap looks like so I don’t know if the silver was a coating or the original leather – but you could potentially paint the original leather with Jacquard Lumiere Metallic Silver. Some people have had success with painting shoes this since it soaks in to fabrics, but a leather strap that needs to withstand handling may not do well. 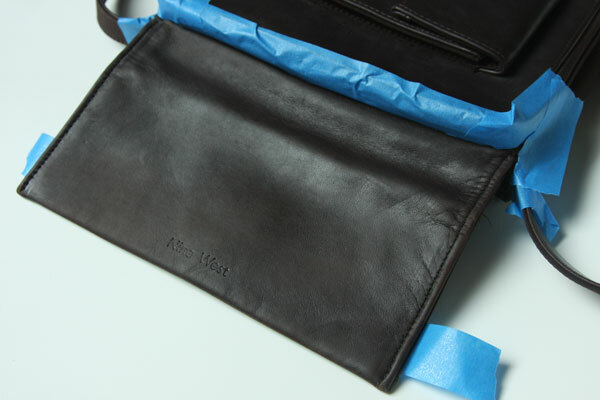 You can try to purchase a replacement silver strap somewhere (like here on Ebay) or take the bag to a leather repair shop to see what they advise – they may have a direct line on better replacement parts, though there will be a significant markup. Hope that helps! Thank you. My initial thought was to replace. I think i will go with that. This is an awesome tutorial! I am wondering if this same process can be done to patent leather shoes? I recently purchased a pointy toe kitten heel shoes from payless and it only came in black for my particular size. I am planning to paint it myself into a coral pink; but not sure if the shoe will up hold after usage. Will the shoe paint not crack after use even if I apply a gloss finish sealant? Thanks! Hope to hear from ya soon! Thanks Kim! In answer to your question, I don’t think so. Patent leather is a leather coated with a synthetic resin to achieve the glossy look, and just applying rubbing alcohol like in the tutorial above will not dissolve the resin coating, so the paint won’t stick. You can paint over the patent leather certainly but the paint may not adhere or bead up or drip off…even if you get it to “stick” it may just peel off if you flex the shoe one day. 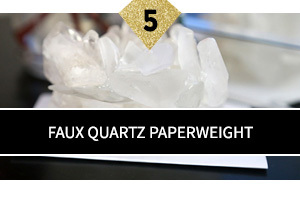 (Think like those peel-off nailpolishes from the 1980’s!) 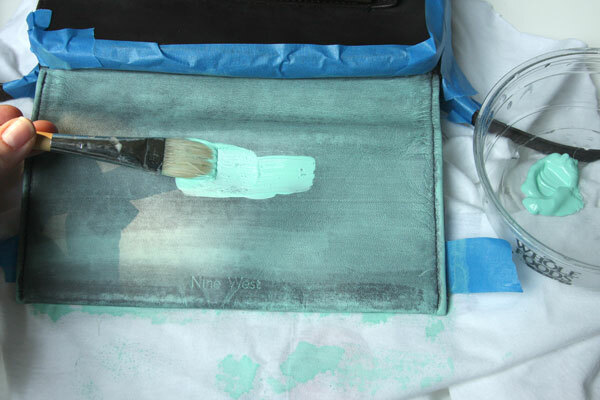 You can certainly try with a paint formulated for leather (like Angelus, linked in my tutorial) but I wouldn’t recommend acrylic paint for this project. Hope that helps! I know you posted this forever ago.,But I just starting working with Leather and have wondered if it can be painted on.? I’m a professional Artist and thought it would be cool. You are my Angel today.Im so inspired. Best Tutorial EVER! Thank You ? I needed a trick to update a plain leather journal binder for use as a journal. This will be a temporary item until I use what I’ve got (current planner goes until the end of 2017). I’m using a very old, popular brand leather planner binder. I’m not sure it will last the whole year but I’m giving it a shot thanks to your tutorial. I started painting a faux leather jacket with tulip soft paints. Every thing came out fine and dried completely. But, every time the fabric is folded onto itself (painted surface against painted surface) for longer than a few hours it peels off. I don’t know if it’s because it’s been hot out lately but I was curious if I needed to put a sealant over the painted portions. Thanks! Ooooh yes you absolutely do not want to use this technique on anything that has painted part touching painted part. The paint does not truly bond with its surface! 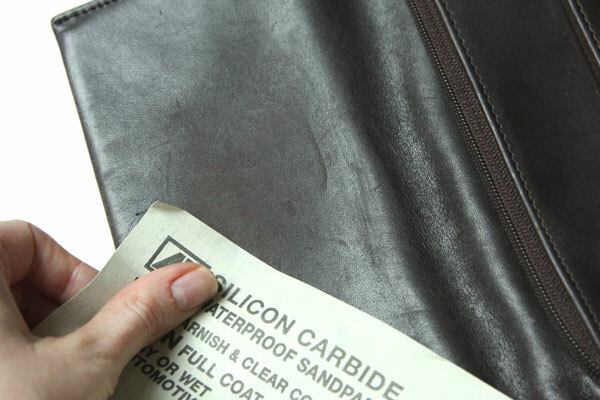 Especially not faux leather – which is polyurethane and not animal hide as in the project I shared. For such projects I’d recommend a paint that is specifically formulated for vinyl/polurethane. Angelus may work but I’m not sure when it comes to faux leather. 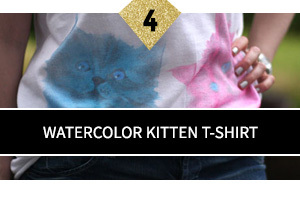 However…since you’ve already done it using Tulip soft paints… I don’t know. A sealant *may* be helpful but again it’s merely a coating on the paint. The paint is not completely bonded to your surface (and never can be because of the paint molecules and the faux leather that is resistant to paint in general). It could just make your paint + sealant come off in a sheet instead. I’m sorry, you’re in a very difficult situation. Sealant is not meant for faux leather either. You can try it but I can’t promise that you’ll get good results.